Advertisers and agencies that want to reap greater rewards from ad automation should not have to accept a certain element of toxic risk. So many things happened last week, as the YouTube ad placement scandal rumbled on – continuing revelations courtesy of The Times, advertisers announcing they were pulling campaigns, the Cabinet Office even getting involved, and one media agency, Havas Media UK, saying it was to stop using Google ads and YouTube for the foreseeable future – that you could have been forgiven for missing Ronan Harris’s blog post, "Improving our brand safety controls." It is, in many ways, a portentous document. Not just because it shows Google is prepared to acknowledge a problem or because bits of it seem to flirt with an apology (later delivered to brands via Matt Britten at Ad Week Europe – better late than never). It’s unprecedented because, inadvertently, it alerts the marketplace to the scale of the problem Google faces. It acknowledges that YouTube, as part of its commitment to free speech, hosts toxic content including "hate speech [and] gory or offensive content" and that ads from mainstream companies can appear alongside it. He goes on to remind us of the impossible nature of his task, ironically in a spirit of boastfulness. "400 hours of video [are] uploaded to YouTube every minute," he said. That’s half a million hours of new material a day. Four million hours a week. Even though Google now employs "thousands of people to stop bad advertising practices," surely to stay on top of YouTube’s problem you’d need 100,000 workers viewing five hours of material a day? But I digress. The subtext of Harris’s blog is that if advertisers and agencies want to reap greater rewards from advertising automation, they’ll have to learn to live with a certain element of toxic risk – but that’s simply not good enough, never mind untrue. It’s pretty simple really. Context, as ever, is paramount. There is a situation in our industry where billions of advertiser pounds are flooding into platforms that can’t guarantee where your ads will be viewed. It can be dressed up with headlines and soundbites, but there’s no getting away from the truth. As is so often the case in life, it’s where you’re seen that counts. That’s one of newbrands’ great strengths. The quality, relevant environments they create is a pretty big "pro" in our current digital Wild West. Not only do newsbrands’ programmatic offerings guarantee that ads will appear and also enhance brand messages by placing ads alongside compelling content, but research by World Media Group shows that ad campaigns within premium online platforms also result in attention and viewability uplifts. Watch this space. Newsworks will be releasing a study on this subject soon. Research by World Media Group shows that ad campaigns within premium online platforms also result in attention and viewability uplifts. Targeting audiences shouldn’t be done at the expense of context. It defies all logic. As the Guardian’s Hamish Nicklin pointed out recently, would Rolex advertise in a urinal in real life? No. So why do it online? Of course, it’s not just me and Hamish that think this. Writing in The Sunday Telegraph last week, Sir Martin Sorrell backed newspapers as "tried and trusted amid the social media revolution." In a world where "advertisers and their agencies have raised concerns about vulnerabilities in the digital media supply chain," newsbrands are "positioning themselves as trustworthy sources amidst a sea of digital misinformation, and as responsible gatekeepers for advertisers," he wrote. 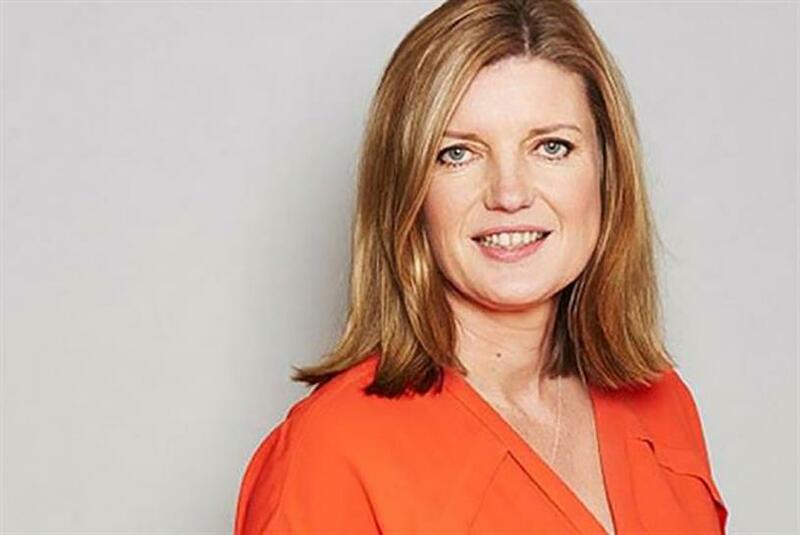 WPP’s chief cited Newsworks' effectiveness research, which revealed "newspapers can increase the overall effectiveness of an ad campaign by 300 per cent", and referenced global studies showing that people are more engaged when reading a newspaper than they are when using social media. "An important consideration for advertisers seeking consumers' attention – and access to their wallets," Sorrell wrote. As an industry, we’re proud that the value of newsbrands’ context and effectiveness is coming to the fore. And we’re committed to asking awkward questions, particularly of those who remain blasé about the toxic and the fake, or of those who invite advertisers to feel comfortable with a daily game of Russian Roulette. So, yes, we'll make no apologies about this. We’re going to keep asking YouTube advertisers – "Do you feel lucky?" Well, do you? —Vanessa Clifford is the chief executive officer at Newsworks.